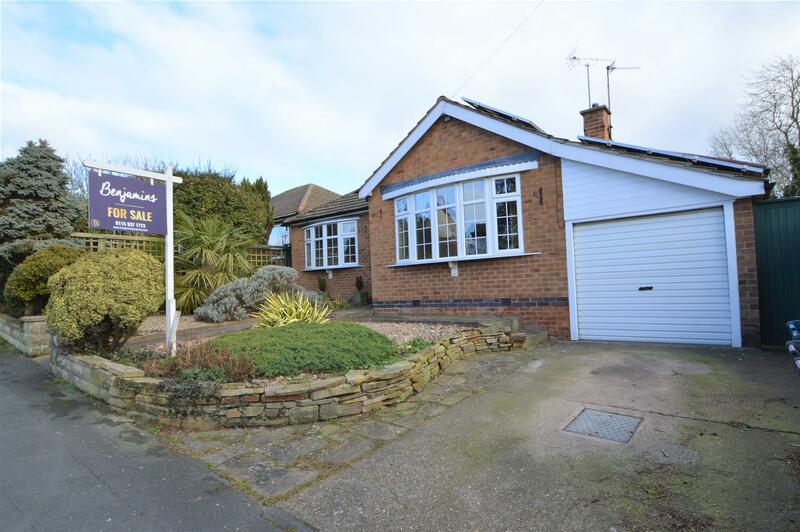 Benjamins are delighted to bring to market this two bedroom detached bungalow, available to purchase with no onward chain. Situated in a popular residential area on Highfield Road, Keyworth within walking distance of local shops, library, leisure centre, pubs and regular bus services to Nottingham and West Bridgford. In brief the property comprises, reception hallway, living room, kitchen, dining room, shower room, two bedrooms, garage, enclosed rear garden. 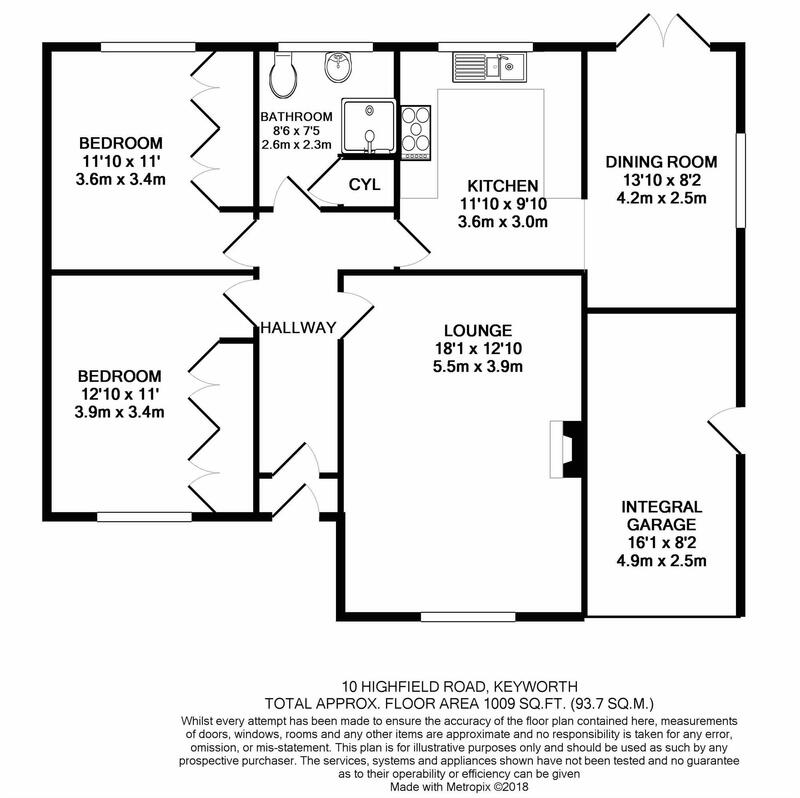 Benefiting from no onward chain, solar panels, gas central heating and garage. Internal viewing is recommended. To arrange appointment to view please call Benjamins Sales on 0115 9371713. Single glazed door into porch, tiled flooring, light and single glazed door into hallway. Single glazed door into hallway, phone point, radiador, wall lights, carpet. UPVC double glazed window to the front aspect, gas fire with wood surround, wall lights, ceiling lights, two radiators, TV & phone point, small window into kitchen. UPVC double glazed window to the front aspect, fitted wardrobes, pendant ceiling light, radiator, carpet. Shower cubicle with extractor fan/light, fully tiled floor & walls, UPVC double glazed window to the rear aspect, mirror with light above, ceiling spot lights, towel radiator, hand wash basin and low level WC. UPVC double glazed window to the rear aspect, fitted wardrobes, pendant ceiling light, radiator, TV & phone point, carpet. With a range of floor and wall kitchen cupboards and units with working surfaces over incorporating a 1£ stainless steel sink unit with single drainer, integrated electric cooker & microwave above, five ring gas hob with extractor fan above, space for fridge freezer, space for washing machine, integrated dishwasher, radiator, tiled flooring & tiled splashbacks, small window into living room, UPVC double glazed window to the rear aspect, archway into dining room. Rear garden is laid mainly to lawn with flower beds, variety of mature trees and shrubs, patio area, outside tap.